Joanna Jedrzejczyk and Claudia Gadelha will clash TONIGHT (Fri., July 8, 2016) at The Ultimate Fighter (TUF) 23 Finale in MGM Grand Garden Arena in Las Vegas, Nevada. In a match up of striker and grappler, what adjustments must be made for either man to claim victory? Find out below! Ultimate Fighting Championship (UFC) Strawweight rivals Joanna Jedrzejczyk and Claudia Gadelha will settle their feud TONIGHT (Fri., July 8, 2016) at The Ultimate Fighter (TUF) 23 Finale inside MGM Grand Garden Arena in Las Vegas, Nevada. 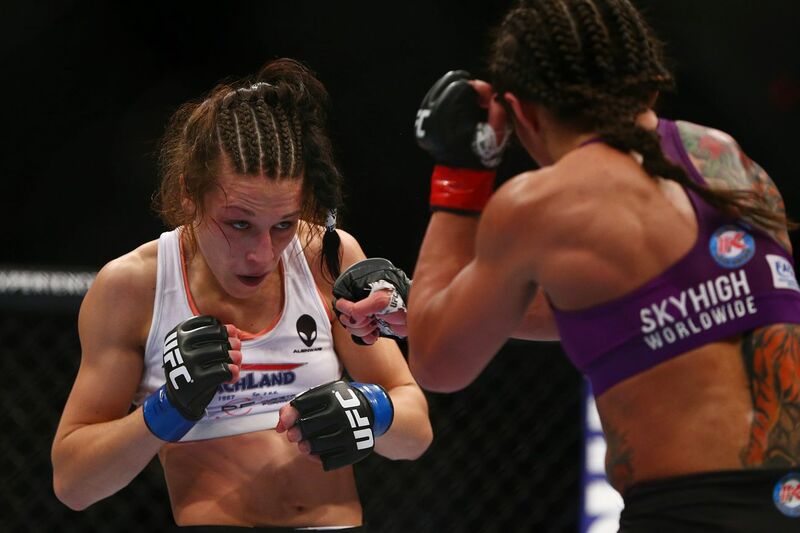 Jedrzejczyk has been largely untouchable inside the Octagon, capturing and defending the title in short order. The only exception to that came in his title eliminator bout with Gadelha, in which Jedrzejczyk scraped past her foe for a close split decision win. Since that debatable loss to “Joanna Champion,” Gadelha has only competed once but was dominant. Now, there’s nothing stopping the Brazilian from getting a shot at revenge. Keys to Victory: Jedrzejczyk is a very accomplished Muay Thai fighter with some seriously strong takedown defense. She throws at a very high volume and maintains that pace across five rounds, which makes it difficult to outwork her. To definitively beat Gadelha, Jedrzejczyk needs to do a couple things. First and foremost, Jedrzejczyk needs to do her best to establish her jab and long kicks early. Jedrzejczyk is the far more fluid striker on the outside, so if she can trap her opponent at range it would be very beneficial.